Model 3 Potential: Police Cars? Discussion in 'Model 3' started by musicious, Mar 27, 2016. Will Model 3 become police cars? What do you guys think about law enforcement replacing police cars (or any emergency vehicles) with Model 3s? Although they will be a bit more expensive (it seems they normally spend 20-25k), the gas/maintenance savings and quick acceleration to catch speeders and respond quickly to emergencies would be beneficial. Plus, since they sit alot on the side of the road, the battery wouldn't deplete much and there would be no exhaust fumes polluting the air. I think it would definitely be a worthwhile purchase for them, and they wouldn't need options like autopilot, leather seats, panoramic roof, different colors, air suspension, heat package or even larger battery or performance version. They could literally just get the base package and modify with police equipment/lights, maybe even get the 17" screen to show what normally is on their laptops. Radar could be external since it likely wouldn't work through the windshield. At least they could start with replacing the cars that already need replacement. They could install chargers at the stations to top off the cars not in use and have them switch as needed if driving alot. Inertia is the main problem. Larger police departments have their own mechanics who won't be well supported by Tesla and smaller ones will lean on their local dealerships who will write off the costs while getting local police good will. Everything else is addons by existing networks, so again it is either something that Tesla supports from the top (and likely not worth the investment) or something that happens organically because the cost savings is compelling (too soon for that). So really my vote is "not a chance in the next 10 years". I could see a fleet price to law enforcement. But not for some time. It well could denigrate the image of the car to some, making it seem too common, like a Charger, etc. Not that they are bad cars. But they very mass market. Once the coolness factor on the M3 wears off, Tesla might do it. As far as looking at only the up front costs, great point. I hope that our government agencies have the vision to look at the whole picture. Energy and maintenance costs could save them a bunch over the life of the car. And just think about the reduction in emissions. Cop cars drive all day long every day. I don't see that happening anytime soon. Jason is right about inertia, but also in the sense that existing solutions have been proven in use. Tesla doesn't even have an off the shelf "qualified" option, and I'd question whether it's worth doing right now. I think there'd be resistance because of range, too. Just the idea that you can't drive it around all day without taking a recharge break would be hard to overcome. I think if the supercharger network expands they won't be as concerned with range even if driving all day. I actually work for an electric utility company (in Finance) that plans to install 5000 charging stations around Chicago in the next few yrs, I tried to convince them they should work with Tesla superchargers too if they really want to promote EV adoption since those are 10x faster than lvl2 chargers. They also talk about Tesla Powerwalls and SolarCity in having a big impact on our future; It's amazing how much Elon is changing the world. Yea, not only for the Police. How about sporting event (cycling, maraton etc.) I think the stinky, smelling and noisy cars are not appreciated at a Tour de France or Tour de Italia just to mention the most popular. Especially when moving in mountainous areas where combustion of an ICE get worse and the brakes are are not used because of recuperation while accompaning service cars move amongst the athletes. The Tesla Model ☰ will see wide service as police cars, municipal law enforcement vehicles, fire department transport, Federal/State/County agency cars, rental cars, taxis, Uber, and more applications. It is meant to be a ubiquitous example of what an electric vehicle is capable of doing in the Real World. It will not be an 'exclusive' limited edition vehicle for only the 'well off'. For decades there was no appreciable difference between the Ford LTD, Mercury Grand Marquis, and Lincoln Town Car. Yet those cars filled all the same roles. The Tesla brand will survive unscathed. In fact, it may come to be revered for being so capable and flexible in its use. I disagree with this, the Model 3 is meant to be mass market hence their goal of 500,000 sold each year from what I remember reading, they need it to be common to finally get the market proliferation they need, but it will likely still have enough customization available to not seem commonplace. Should be noted that my view is very US centric. The same level of inertia doesn't exist in many non-US places where simply a good car will be used by the policing agencies. On the other hand, I bet those BMW police cars are due to many of the same reasons that US cars are used in the US -- better dealer and local support than Tesla currently provides. They're already interested in the S... so why not 3. I can see it now. Model 3 performs a PIT maneuver to disable a car only to get $15,000 in repair costs from a Tesla authorized body shop. I though it was well known that the police will go the GM route? Our officers have take-home vehicles. I wonder how that would play into it and some of them live 55 miles away from the station. I suppose if our fleet office installed SCs or comparable L2 chargers, then it could work. SOPs would update to require them to recharge at certain intervals. For our fire department 3/4 tank means a stop at the fuel depot. Obviously not in the US. It lacks the weeee-eid-mooooodddrrrr. Maybe they could modify it and put in a V8 just for genital enlargement issues... 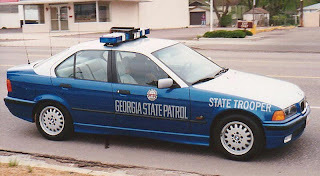 I always thought it funny, that you need 300hp to check black peoples driving licenses, which, probably, is the job description for a regular police car in the US. Of course there are "high-speed" pursuits, but the best tool against those are trees and traffic lights. Sorry, I don't think the Model 3 will work as a police car in the US (at least not in any significant volume other than maybe for PR purposes). It's too small for US police tastes (even the full size vehicles that are replacing the Crown Victoria, police find cramped). It is about as likely as a Cadillac ATS, Lincoln MKC or MKZ as a police car. 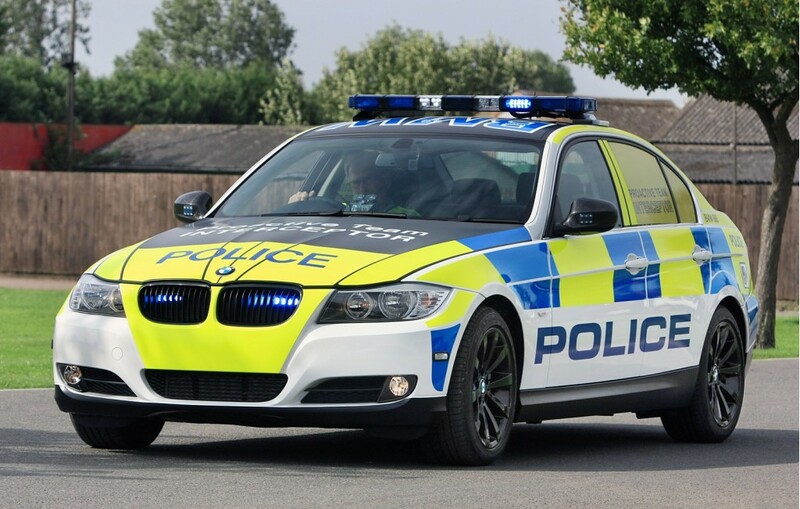 Yes, there are some examples of 3 series being used as police cars in other countries, but part of that is regional supplier relations. I don't think it will be that easy to break into that (nor will Tesla be interested in getting their cars through the certification process and producing a "pursuit" or "interceptor" version). It is much better to focus on the consumer market. I used to wash cars at a dealership that received all the Crown Vic's for the CHP back in the early 90's. I remember one reason for Ford getting a lot of the sales is law enforcement had a bunch of requirements. These requirements from some jurisdictions used to be things like the car must have a 4 barrel carb, or must be rear wheel drive, etc... They put these rules in place and they often don't keep up with tech. I remember in the 90's a lot of the cars I washed still had carborators because the government didn't trust fuel injection. That was when it was pretty tried and true tech. Thankfully they have changed but I definitely think there are many hurdles like that to overcome before you see them transition to electric en-mass. I really like the LAPD car though!